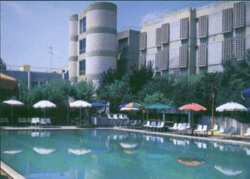 Edipsos is one of the oldest and well-known resorts in world in terms of healing baths and therapy. There are more than eighty individual springs with water ranging between 40 to 80 degrees. In recent years, Spa services have been significantly revamped and they offer high quality relaxation, massage and wellness services. The water from the Edipsos springs is extremely hot and has the richest components in Greece.The springs are rich in elements, salts and metals. In addition, they produce great quantities of mud, which is used in masks for the face and other parts of the body. Given its high temperature, the spring water crashes onto the rocks during its ascent and it isenriched with elements of the earth. When the bathers bath in the healing waters, their pores take in all of the vital elements, which are indicated for many conditions, such as: arthritis, post-traumatic arthritis, rehabilitation after an accident and gynecological problems. Of course, it helps in the prevention and relaxation of our stressful daily lives. and the Balkans making it one the best healing springs in the world.